Ownership of a solar home system can improve the quality of life and agricultural productivity of small-scale farmers in Africa. The falling price of these systems and the ability to pay for them using mobile phone banking puts ownership within the reach of a growing number of farm families. For almost 40 years, Farm Radio International (FRI) has helped support the creation of educational radio programs on a variety of subjects for millions of farmers across Africa, including interactive phone-ins that take advantage of the extensive radio and mobile phone coverage in rural areas. FRI is now seeking to create a series of radio programs outlining the possibilities and benefits of solar powered home systems for thousands of off-grid small farmers. Using mobile banking, farmers can purchase the solar systems over a one year period for the same amount they now spend on kerosene or candles, and benefit from lighting, radio, cell phone charging, and even TV. Once the system is fully purchased, farmers can use these savings in kerosene and candles to purchase other agricultural products in the same way – supporting local agricultural development. 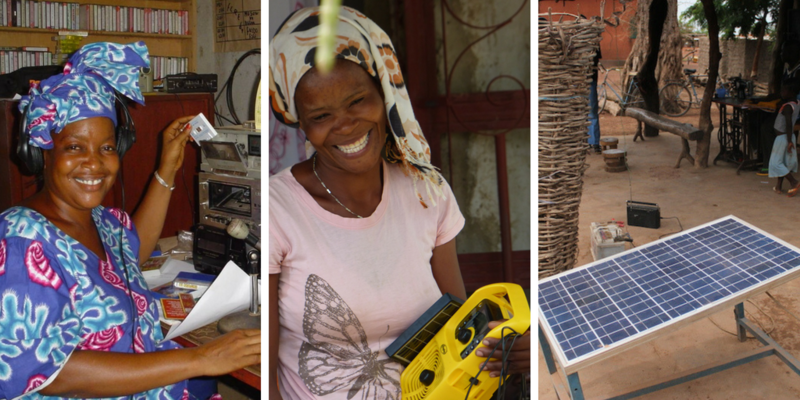 The Ottawa Renewable Energy Co-operative is partnering with FRI to support the development of the Power of Solar series of radio programs and test them with several radio stations in Tanzania. Solar energy is going be the lifeblood of the world’s future economies in Africa as well as Canada. Support this project by donating to FRI below.